The mouse pointer shadow can be easily activated on Windows 10 and deactivated again if necessary! The solution to activate the mouse pointer shadow in Windows 10, is also an example for others Microsoft operating Systems Web Server 2016 / 2012! 1.) ... Change or enable the Mouse Pointer shadow! 2.) ... Create Desktop Shortcut for Windows Mouse Settings! See also: ► ... Driver Update via the Windows 10 Device Manager! ► Keep Mouse Speed OK! 1.) Change or enable the Mouse Pointer shadow! If you want to change or enable the beautiful and subtle Mouse pointer shadow please open the Mouse Properties in Windows 10. The fastest Way is via the windows-10 Run Dialog Windows-Log+R keyboard shortcut and the command: main.cpl. (Image-1) The Mouse-Pointer Shadow in Windows-10! How to deactivate the shadow of the mouse pointer in Windows 8 is explained in this practical tip. This removes the grayish haze that marks your mouse pointer. Depending on the application and eyesight, the setting helps to find the mouse pointer. Example / Explain how to deactivate it. 2.) Create Desktop Shortcut for Windows Mouse Settings! This command will auto select the main.cpl in C:\Windows\System32\ folder. 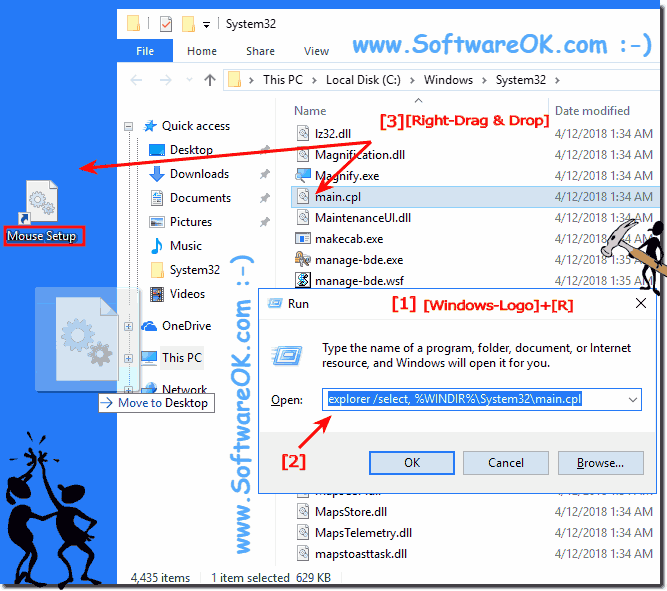 (Image-2) Mouse Settings Desktop Shortcut on Windows-10! Windows-10 - FAQ-102: Mouse pointer shadow in Windows 10, (enable, disable)? I noticed a gray shadow hovering behind my mouse. I have already tried in the control panel to disable the mouse shadow but it still remains! The mouse track I have disabled but did not help, It would be nice if you could help me? Help, I can not find my mouse pointer! Is that how you feel? 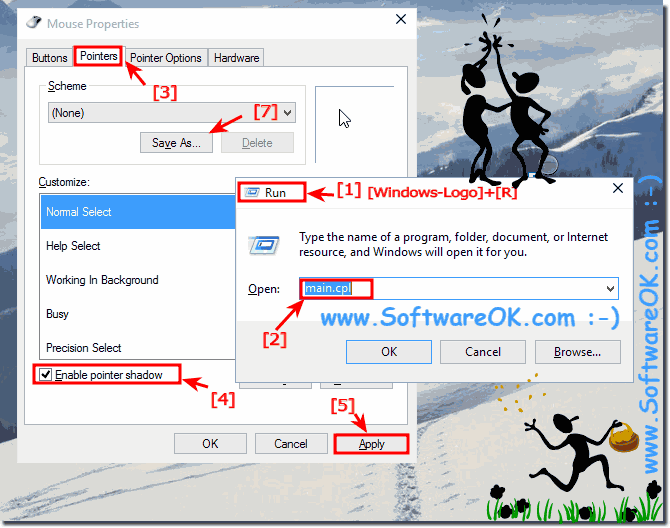 Then read here how to change the mouse pointer in Windows and make it bigger? Disable mouse pointer shadow in Windows-10, the fast solution ewer please? Delete shadowbox with mouse in windows10? Can I turn-on mouse pointer shadow in Windows-10? Is in Windows-10 a way to turn-off the mouse pointer shadow? How to enable mouse pointer shadow in Windows-10? Enable Pointer Shadow via cmd? How do I get rid of the cursor shadow in Windows 10? How to enable cursor in windows 10?